[New for 2019] Time to try the first of the three flavors that Nick has been working on for the last several months. Yes, Gelato Fiasco was nice enough to send a free sample of each pint, but Nick wouldn't want me to take it easy on him, so here goes. Sorry for no opening shot, but I think you'll be ok in this instance. Looks fun right? Well, it is! I think we are actually dangerously close to too much fun really. This effectively tastes like the ooey gooey insides of my beloved fluffernutter sandwich. (For those not from the area, that just means a sandwich made with peanut butter and marshmallow "fluff"). 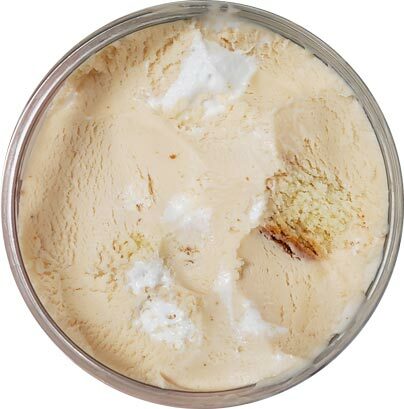 The sweet, peanut buttery gelato with the sweet marshmallow is both addictive and potent. The gelato feels like it was very specifically dialed in to capture the magic that is peanut butter and marshmallow. The pound cake adds that necessary texture element to keep the flavor from running away with itself. So yeah, huge fan of this one, even though I'm pretty sure my brain would explode if I tried eating the whole pint. I really love the way that it aims for a specific flavor and pulls it off. Everyone wants to say that their flavor tastes like this or that, but this one nails it. On Second Scoop: Delicious. What else do I say? Ok, I'll add one thing. I was ready for the bold sweetness this time around and that helped me scoop it a bit more carefully this time around. No need to rush when eating this one because even a small scoop packs a ton of flavor. This is the flavor I'm most excited to try. I love the idea. This is my type of flavor! Do we have any idea of what the distribution of this flavor will be? How readily available or if it's going to be more local? 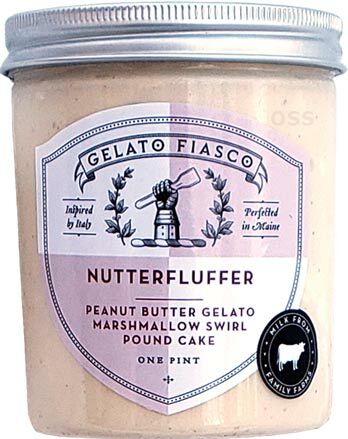 I don't have much Gelato Fiasco in my area, but I'm hoping this one finds it's way here! Where are you located? I can see if I can find a store in your area that carries it. If there none, we do offer online shopping now. Not about the Nutterfluffer, but still GF-related: I just picked up a pint of their classic Mascarpone Pistachio flavor, to find that it's... different. Instead of whole pistachio "nuggets" like there used to be it's full of little pieces, as if the nuts were pulverized, and the caramel swirls seem really thin. Anyone know if they've changed the old tried-and-true formula? What color was the lid, was it black? Those are last year's pints, so that might be part of it. I believe the wise Jerry of Ben & Jerry's once told me something to the effect of "if your business isn't growing, it's dying". I too don't have the familiarity with Steve's to say how much their quality has changed since Dean Foods rescued them.